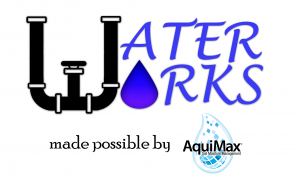 In today’s Water Works, brought to you by AquiMax, obtaining permits for groundwater recharge projects can be a difficult process due to the uncertainty surrounding what the State Water Resources Control Board considers to be a beneficial use of water. Current law does not recognize groundwater recharge alone as a beneficial use of surface water. The omission of groundwater recharge as being clearly recognized as a beneficial use of surface water is further complicated by the requirements of the Sustainable Groundwater Management Act (SGMA). Some of the sustainability goals set forth under SGMA include addressing water quality in aquifers, managing seawater intrusion and contesting land subsidence, which groundwater recharge efforts can help to confront. In a written brief that Miller contributed to, it was suggested that the definition of beneficial use be expanded and plainly outlined to address SGMA concerns. “What we proposed was that the Board should make it really clear to the public that they consider combatting certain SGMA undesirables to be a beneficial use of surface water,” Miller noted. Addressing the confusion as to what is and is not considered a beneficial use becomes increasingly important as SGMA deadlines approach. Severely over drafted basins have until 2020 to submit management plans, with many likely to include the need for recharge projects. There is some concern that the lack of clarity on what constitutes a beneficial use of water may discourage some projects from being developed. Miller noted that anyone interested in developing groundwater recharge projects should not be dissuaded. It is still possible to obtain a permit, it just may take some interaction with the state water board to understand the expectations. “Bring [the Board] in early and upfront when you’re thinking about the project and just see exactly what kind of evidence or materials they’re going to need from an applicant in order to be able to grant a permit for this purpose,” said Miller.